NEW YORK, February 4. /TASS/. US diplomats will on Tuesday visit Paul Whelan detained in Russia on espionage charges, his brother David Whelan said in a letter emailed to TASS on Monday. "The U.S. Embassy has been granted a visit by the Russian government to see Paul on Tuesday, February 5th," he wrote, adding that Whelan’s "defense lawyers are scheduled to visit him today". Earlier, Whelan who apart from being a US citizen, also holds British, Canadian and Irish passports, was visited by diplomats from the US, Irish, Canadian and UK embassies in a pre-trial detention center. David said "UK Embassy staff were able to give Paul messages from his family and receive instructions to pass on to family members. They also noted that the prison staff appear to have responded to Paul's medical concerns, providing requested medications and allowing him to consult with a prison doctor". "We continue to hope that diplomatic efforts at levels above this consular support are taking place in order to free Paul as soon as possible," David Whelan said. 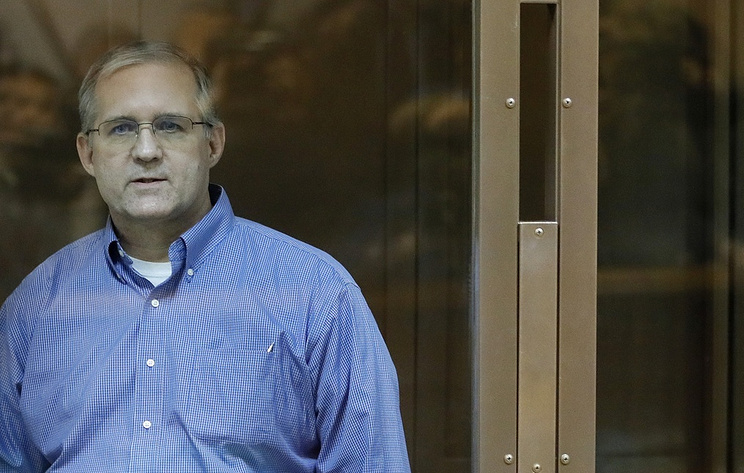 The Russian Federal Security Service (FSB) said earlier that US citizen Paul Whelan was detained on December 28, 2018, in Moscow while on a spy mission. A criminal investigation was opened against him on espionage charges carrying a punishment of up to 20 years in jail. US Ambassador to Russia Jon Huntsman visited Whelan at the Lefortovo pre-trial detention center on January 2.